Kevin Harvick is headed to Bristol (Tenn.) Motor Speedway for this Sunday’s Monster Energy NASCAR Cup Series Food City 500 looking to make some noise on track at the World’s Fastest Half-Mile. The driver of the No. 4 Busch Beer Ford Fusion for Stewart-Haas Racing (SHR) has three Cup Series wins early in the 2018 Cup Series campaign, scored in back-to-back-to-back fashion at Las Vegas Motor Speedway and ISM Raceway near Phoenix, both over runner-up Kyle Busch, and Atlanta Motor Speedway, where Brad Keselowski was the runner-up. Harvick nearly added his fourth Cup Series win of the season last Sunday at Texas Motor Speedway, but finished runner-up to Kyle Busch by .300 of a second. The driver of the No. 4 Busch Beer Ford has now finished first or second in four of the first seven races of the 2018 campaign and has a total of five top-five finishes. The 2014 NASCAR Cup Series champion proves to be just as fast early in the weekend, where he has qualified in the top-10 for each Cup Series event of the season. He has scored a series-best average starting position of 5.9. He also leads the Cup Series with 520 laps led, 768.24 miles led, a 115.1 driver rating, three wins and five top-five finishes. In addition he ranks fifth with 1,830 laps in the top-15. The speed of the No. 4 Busch Beer Ford continues to lead the way throughout the weekend, which is why the team ranks first, in what may be the most important category, so far in this early season – playoff points. The 12 playoff points through the first seven events is five more than the next closest competitors – Kyle Busch and Martin Truex Jr. This weekend at Bristol, Harvick has a chance to add to those statistics. The driver of the No. 4 Ford has scored two Cup Series wins at Bristol in April 2005 and August 2016. Harvick’s win in the 2005 Food City 500 at Bristol came in convincing fashion as he led three times for 109 laps and beat Elliott Sadler by 4.652 seconds. His most recent win at Bristol came in August 2016, when the race was postponed due to inclement weather and raced during the day Sunday afternoon. Harvick went on to lead 128 laps and beat runner-up Ricky Stenhouse Jr. to the finish line by 1.933 seconds to score his second NASCAR Cup Series win at the .533-mile oval. The win marked Busch Beer’s first appearance in victory lane as the sponsor of Harvick and the No. 4 team. Since joining SHR in 2014, Harvick has one win, three top-five finishes and five top-10s at Bristol. He also ranks second with 442 laps led and fourth in points with 247. Heading into this weekend, the No. 4 team ranks fourth with 257 Cup Series points, trailing leader Kyle Busch by 59 markers. 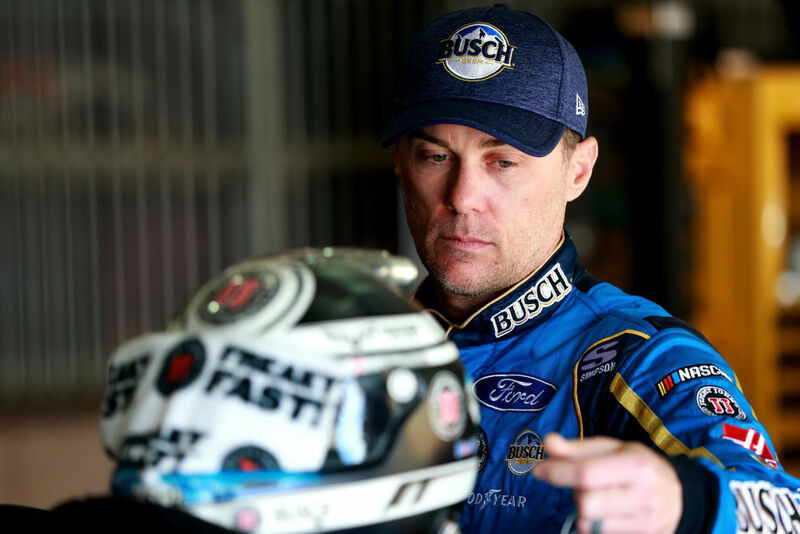 That number is significant considering Harvick and Busch have finished 1-2 in three of the first seven events of the season – with Harvick in the higher position in two of the three. While Harvick leads the Cup Series with three wins and 12 playoff points through the first seven races, he still would love nothing more than to win the race and both stages to add some space in the playoff point standings over second-ranked Martin Truex Jr and Kyle Busch. What makes Bristol unique and how do you expect the weekend to go?